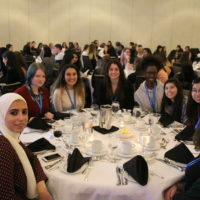 Supporting, celebrating, and advocating for women in computing is the mission that lies at the heart of the activities of ACM-W. Our longstanding projects of scholarships, celebrations, and student chapters provide opportunities for undergraduate and graduate students to increase their technical knowledge while networking and building community. Recently we have begun to expand our activity to include projects that support populations of women in computing beyond students. This article provides an overview of all of our projects, old and new. ACM has recently announced its newly elected officers. Vicki L. Hanson, Rochester Institute of Technology and University of Dundee, was elected president. Cherri M. Pancake, Oregon State University, was elected vice president, and Elizabeth Churchill, Google, was elected secretary/treasurer. 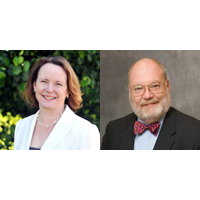 CCC Vice Chair Elizabeth Mynatt, Georgia Tech, and former CRA Board Member Eugene H. Spafford, Purdue University, were among five individuals elected to be members at large, serving from July 1, 2016 to June 30, 2020. 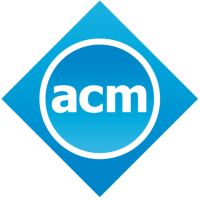 Join ACM and Shape the Future of Computing! Join ACM and Shape the Future of Computing! For over 50 years, ACM has helped computing professionals to be their most creative, connect to peers, and see what’s next. Joining ACM means you dare to be the best computing professional you can be. Join ACM today and save 25% at http://www.acm.org/KeepInventing/CRA. ACM-W supports, celebrates, and advocates internationally for the full engagement of women in all aspects of the computing field.